Home » Statistics » The local Categories Service take 1.2Gb of memory Why ? How to disable it ? 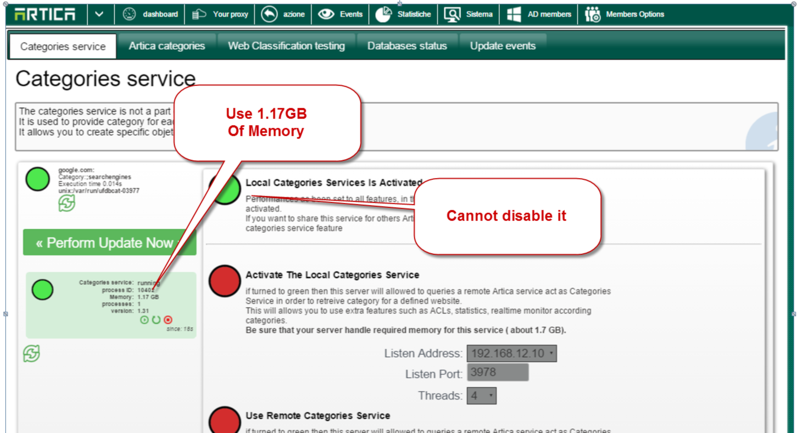 Why the Local Categories service take so much memory ? It is normal, the local categories service is used for statistics purpose and can be used to build ACLs using Artica categories. It designed to load in memory 30.000.000 categorized websites in order to quickly answers to the proxy about a category from a website. This why we suggest to use a Statistics Appliance that is in charge of handle this service and store Statistics remotely on a second server. If i disable this service, does the Web-filtering is still available ? Yes, again this service is only designed for statistics purpose and for ACLs. 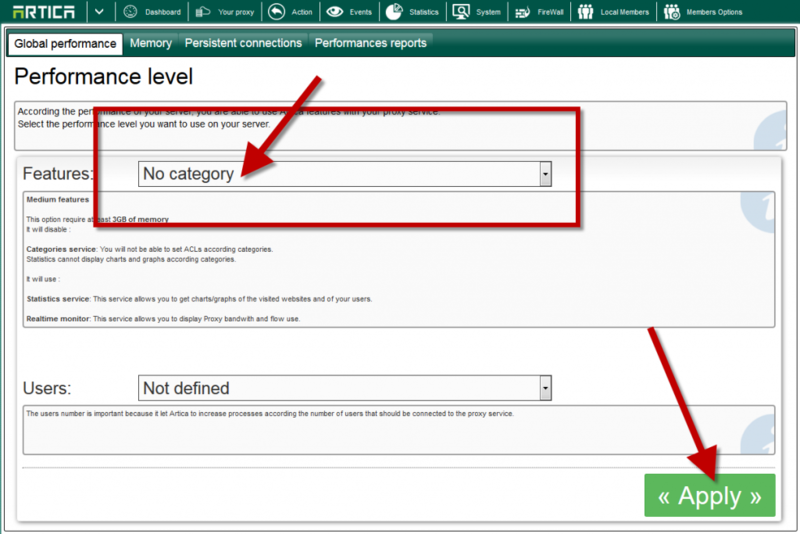 If you not use Artica Categories in ACLs, you can safely disable it. I cannot disable this service to safe memory, why ? Because you have defined Proxy performances to all features in the Installation Wizard. To disable it, Click on “Your Proxy” on the top menu. 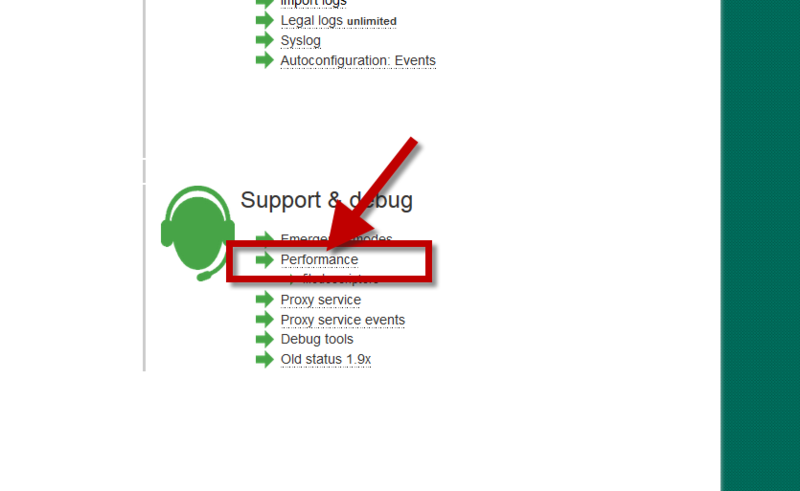 Choose “Performance” under Support & debug section. On the Performance level, down to “No category” option and click on “Apply” button.